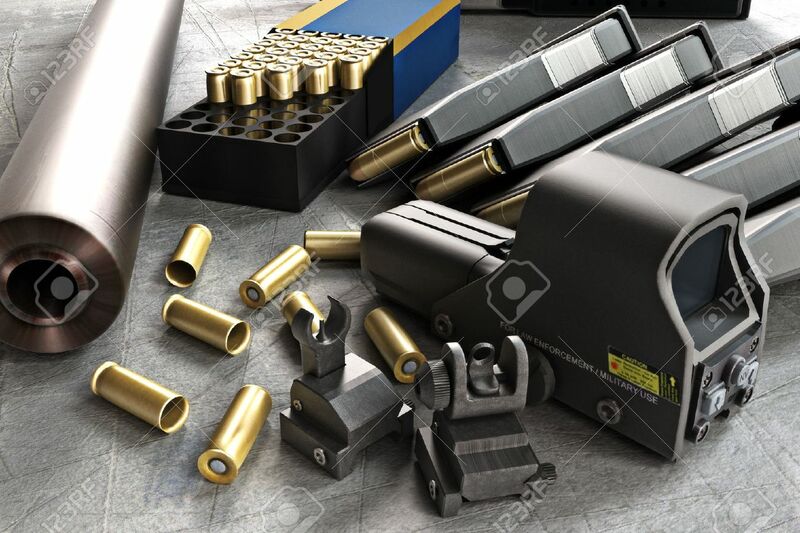 Assault Rifle Accessories Collection Consisting Of Bullet Rounds,.. Stock Photo, Picture And Royalty Free Image. Image 43824464. Stock Photo - Assault rifle accessories collection consisting of bullet rounds, gun barrel , magazines , front and rear sites , and a laser guided rifle scope. Assault rifle accessories collection consisting of bullet rounds, gun barrel , magazines , front and rear sites , and a laser guided rifle scope.